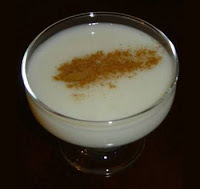 Sutlac is basic turkish dessert. Very popular among all of milky deserts because its easy to cook and very delicious to eat. Another big advantage from other classical desserts, sutlac is very light dessert because of low calorie value per 100 gr. amount. first wash rice and place in saucepan with cold water then simmer it about 15-20 minutes until very soft and totally cooked. Second mix the milk, sugar and vanilla and place them in another saucepan and whisk and cook it at medium heat until start to thick. -When it start to thick ,add your cooked rice and simmer and whisk it about 10 minutes. Then share it to your serving plates and leave to cool. you may put them in refrigator when it reach room temperature. So colder is better for me.